Growing up, Lisa Dodson was always a big-time athlete. A four-sport athlete in high school, and the only person ever to be named All-County in four sports in Westchester County, Dodson went on to play basketball and tennis at the University of North Carolina. She was a walk-on for the Tar Heels Tennis team, and admits that playing in college was the first time she really took tennis seriously. In doing so, Dodson carved out a nice collegiate career, and a couple of years after college, decided to make a run at a pro career. 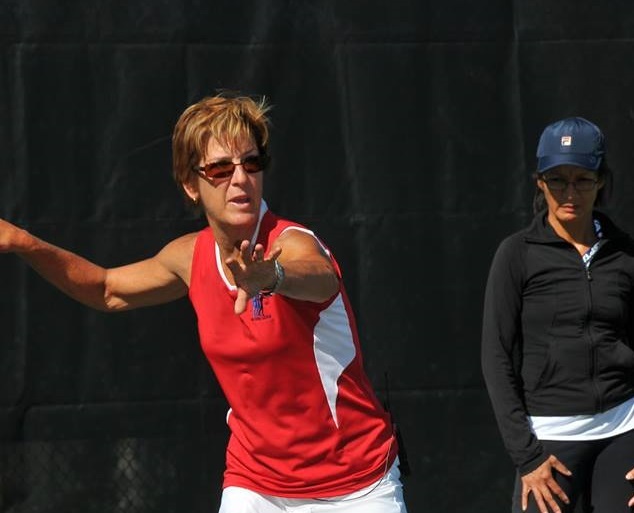 After playing on the Tour for a few years, Dodson entered the coaching world, working full-time at The Stanwich Club in Greenwich, Conn., quickly rising up the ranks to becoming The Stanwich’s Director of Tennis. She found that she had the ability to look at a player’s game and break it down in order to provide the right instruction. That direct approach has been at the heart of Dodson’s career. She has carved out a career in what is a predominantly male industry because he has worked tirelessly and showed great perseverance. As someone who has never let those sorts of barriers impede her career path, she does have some advice for aspiring women looking to break through in the tennis industry. Dodson’s career has gone beyond simply being a coach and has ventured into the entrepreneurial world. A while back when she was teaching in California, she was injured and was sidelined for about a year. 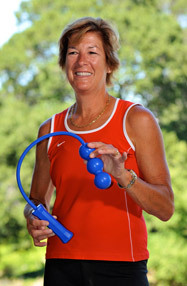 She decided to put that time to good use and started to develop a tennis teaching tool. The product was designed to help with the serve, and her original prototype featured tools from her garage: Jump rope, weights and a cord. Dodson funded the project completely on her own and the product has helped her become a better teacher as well. In addition to running ServeMaster, Dodson currently works as the Director of Tennis at Shenorock Shore Club in Rye, N.Y. She still loves what she does each and every day, and even has plans to launch another product in the near future. Brian Coleman is the Senior Editor for Long Island Tennis Magazine. He may be reached at brianc@usptennis.com.